This is an amazing chair that i fell in love with immediately I saw it. Designed by Frank Gehry for Knoll it is known as Hat Trick and is made of strips of hard white maple that are laminated to 7 to 9-ply thickness with high-bonding urea glue. 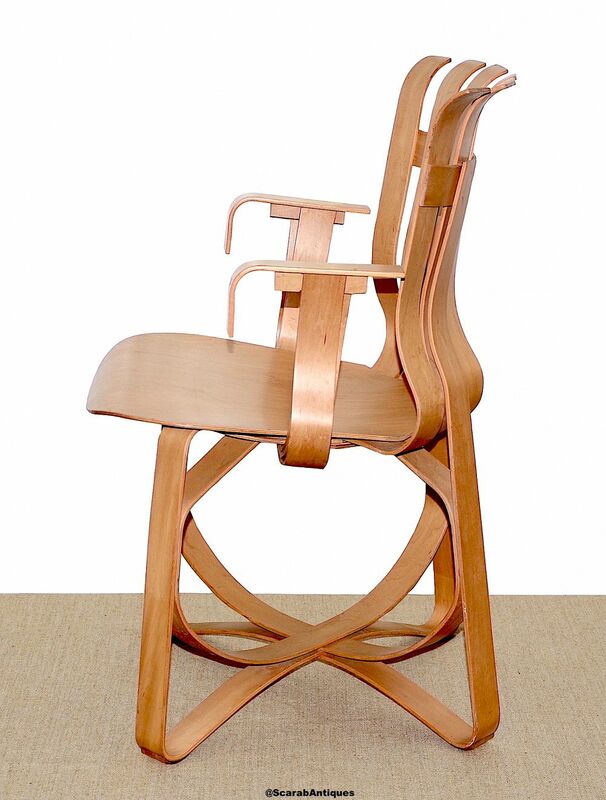 The back of the chair flexes for additional comfort and the contoured seat is made of cross-ply maple for rigidity. 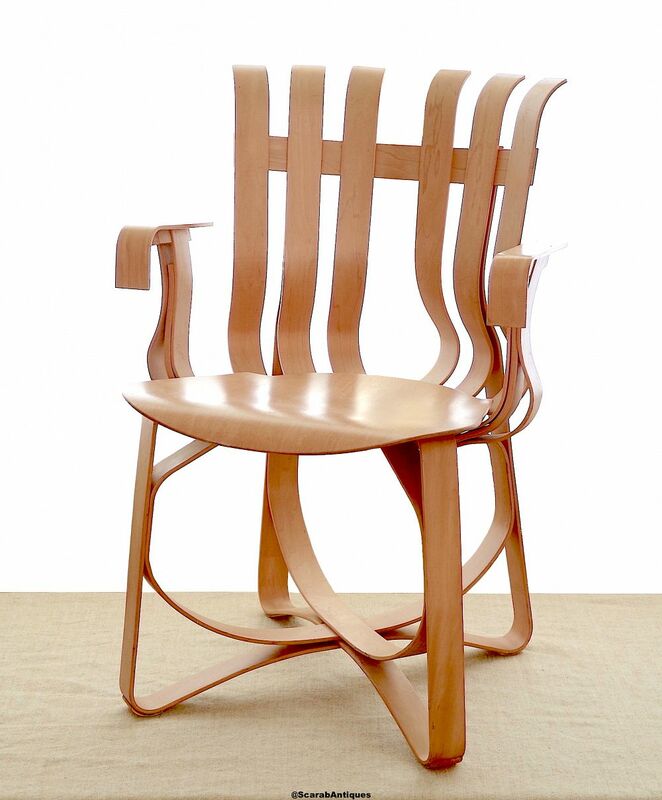 The chair is stamped underneath the seat "09/10/92 Made in USA Knoll" and has Frank Gehry's facsimile signature. A really iconic piece of furniture and extremely comfortable! 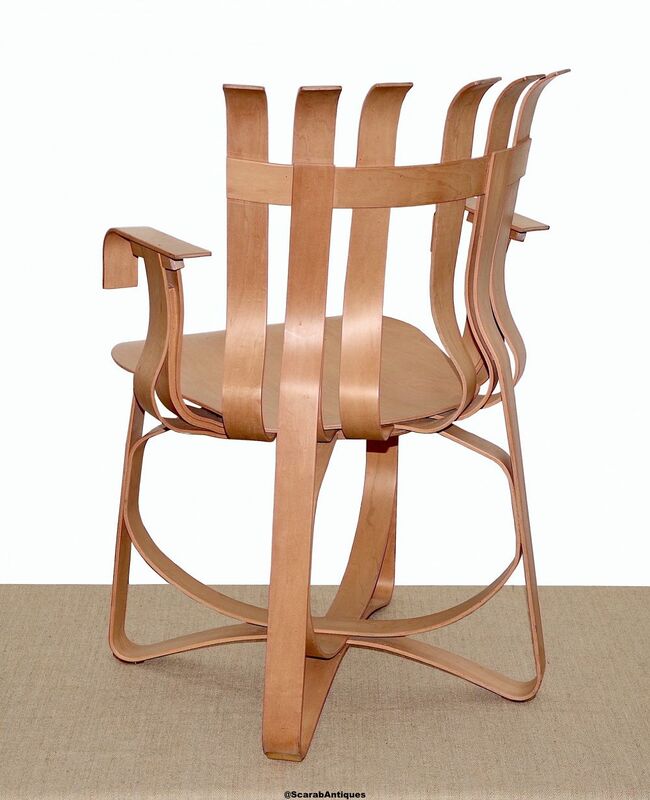 Gehry approached Knoll in 1989 with an idea for a collection of bentwood furniture apparently inspired by the simple bushel basket. The Hat Trick chair was designed in 1990 but it took three years from Gehry's initial approach of experimentation and research before the collection was debuted in the Frank Gehry: New Furniture Prototypes show at The Museum of Modern Art in New York. I think that the date stamp on this chair is the date of production/debut of the collection rather than the date that THIS chair was made. Names for pieces in the collection were apparently derived from ice hockey. Pieces are still in production by Knoll.